A New Point of View – Zombies, Run! This Spring, we’re planning an Abel Township-sized upgrade to Zombies, Run! 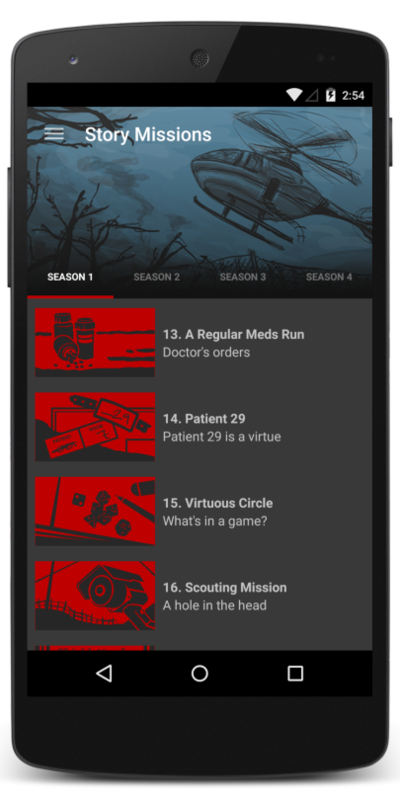 Along with adding 40 new missions in Season 4, auto-playing of multiple missions, estimated run durations, and improved Spotify and Google Play Music support, we’ll be redesigning the app to make it easier and more fun to use than ever. It’s tempting to redesign apps just for the sake of making them look shiny and new. The problem is that redesigns take time that could be used on other features, and they can confuse existing players. But there were a few specific issues we wanted to fix. Note: These are all real screenshots (not mockups) taken from work-in-progress versions of the app. For example, when you’re deep into Season 2 or 3, it can be difficult to remember what’s happened in the story without going to the ZombieLink website. 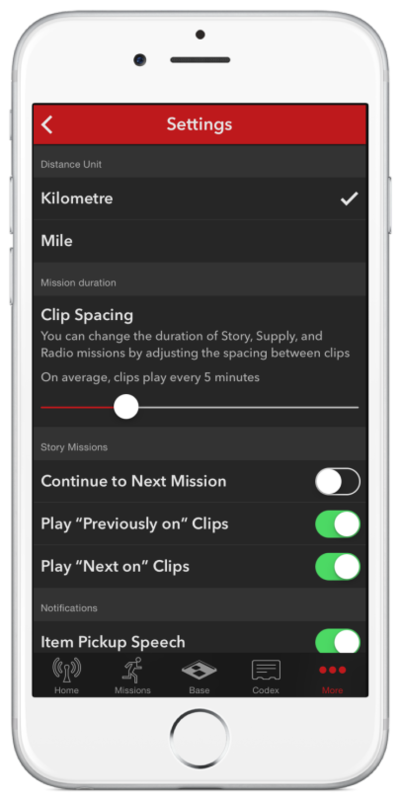 By bringing back individual screens for each mission, we can now show longer descriptions of their plot, and you can also reveal a full in-app scene-by-scene synopsis once you’ve completed a mission. Another issue is that Zombies, Run! can be difficult for new players to understand and navigate. 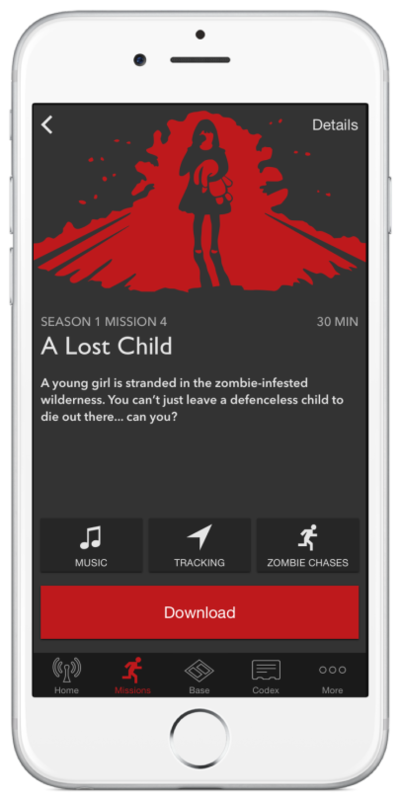 We’ve streamlined navigation in the app so it’s easier to find and change run settings like Music, Tracking, and Zombie Chases, with more tips on how to choose the best settings. Both new and long-time players will appreciate the changes we’ve made to our News and Help sections. Our redesign means they can now include images and links to useful and fun resources; and we’re adding a ‘Known Issues’ list so you can see which bugs and improvements we’re working on. Yes, that really is a ‘Continue to Next Mission’ option; as well as a much more flexible way to control the length of your missions and runs. And thanks to popular demand, you’ll be able to turn off our new ‘Previously on’ and ‘Next’ on clips! This is all aided by the fact that most phone screens have grown considerably larger. The first version of Zombies, Run! was designed for 3.5" screens; these days, a lot of players now have 4", 4.7", and over 5" screens. We’re using that extra real estate to highlight important run options, and to include gorgeous illustrations for every single mission and running mode; not only do they help signal where you are in the app, but they also make sure the entire app is as atmospheric as our missions. On Android, the entire app will be updated with a streamlined ‘Material Design’ that should work across Android 4 and 5 devices. There are plenty more improvements coming to Zombies, Run! that we’re excited to tell you about in the next few weeks, so stay tuned!